The purpose of innovation is improved quality, increased flexibility, a greater productive introduction of new products and reaching new markets. In order to constantly figure in the leading line, a high level of investment is necessary. One of the objectives of Amenabar is to provide solutions to client requirements, for which we apply the most advanced technology in the development of our products. The transfer of knowledge to new generations of personnel at Amenabar is vital in the evolution and growth of the Company. Therefore the new generations are in close contact with Javier Amenabar, an expert and founder of the company and its products. 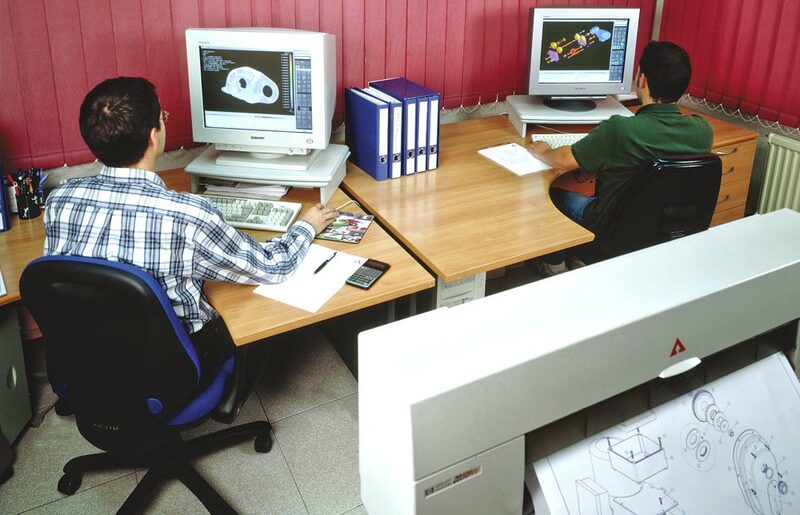 At Amenabar, projects are developed in-house, from the initial stages until their launch on the market, providing solutions in the areas of Design, Calculation, Simulation, Prototypes, Testing, Manufacturing. Year after year, we dedicate a large proportion of our resources to investment. At Amenabar, we have a clear philosophy: Our products are of high quality and safety, where everything is considered from beginning to end.